“Widdifield,” just announced by Amaze Film + Television on Tuesday, will centre around the secondary school currently slated to be shut down by The Near North District School Board. Founded in 1965, Widdifield Secondary School has been home to thousands of students, many of whom graduated. Notable alumni include mayor Al McDonald, Mike Yeo, and someone who played for the NFL CFL. 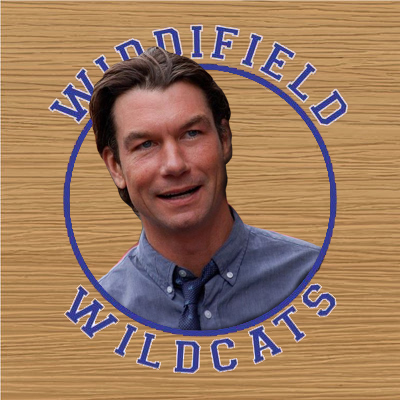 “Widdifield” will follow the story of Michael Trustworthy (O’Connell), a teacher who balances teaching duties while dealing with continuous board cuts, volatile student behaviour, public scorn, neglectful, angry, or absent parents, a lack of support in the classroom and the near constant threat of job loss. The film is estimated to cost $20 million, most of which will go directly to the Near North District School Board for the use of King George Public School. King George will stand in for Widdifield because using Widdifield would make sense. O’Connell, who has been spotted wrestling, fundraising, singing karaoke, fighting Kevin Sorbo, and just being a pretty cool guy all around, is excited to be staying in North Bay to shoot the film. The North Bay Bay was not able to get a quote from O’Connell as he was busy simultaneously delivering triplets and putting out a fire on McIntyre St., but he did give us a big gloved “thumbs up” and a wink, which made our legs awful weak.